Anyone who gets the pleasure of talking with Max knows he LOVES to tell jokes and make you laugh. Sometimes school time is a couple of hours of him trying to get out of work by making his teacher laugh. We are certain if he was in the classroom all the time, his report card would say he was a class clown. That's why yesterday was such a fun day for him. He had one prank to play for April Fools' Day, and knew exactly who he wanted to play it on. His big sister, Abbey. He talked about it in speech therapy and came up with a plan on how to make it work. Abbey got her own car this weekend after a lot of hard work and saving up her money. It was time to get plates for her new ride and Max wanted to jump in and make it funny first. 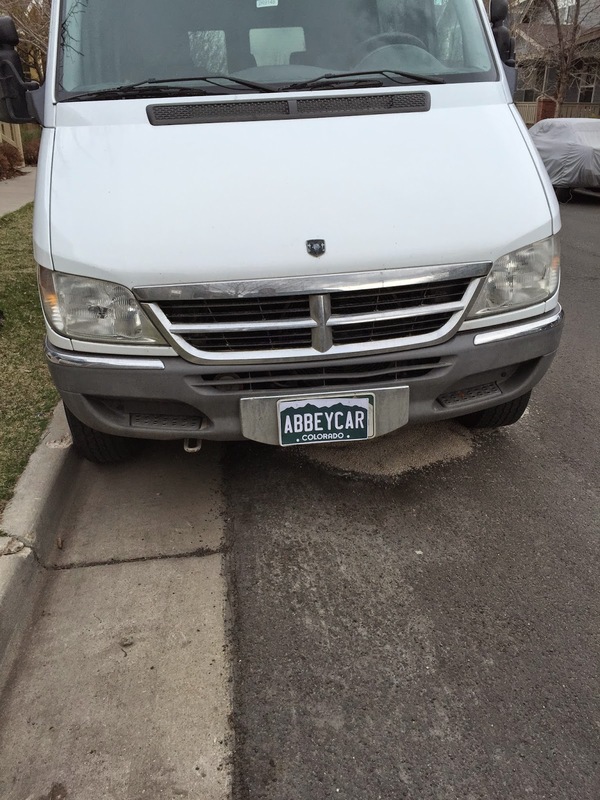 He said with his talker "Abbey, my car." I asked if he wanted to put his name on her car to make her think it was his car, and he cracked up laughing. Then he went a step further and said he wanted his car to be her car. I found a place to make fake vanity plates online and helped him make his prank happen before she got home from school yesterday. I asked her if she had seen her new plates yet, and she went out to see what her dad had brought home from the dmv. She came back in and Max was grinning and excited to hear her reaction. She was a good sport and gave him the reaction he wanted. And he felt pretty proud he pulled it off. He's such a joker.